With one in four children in Scotland living in poverty, Christmas is a luxury that some families just can’t afford. MFR Cash for Kids Mission Christmas Appeal aims to ensure that no child in the North of Scotland wakes up on Christmas morning without gifts to open. 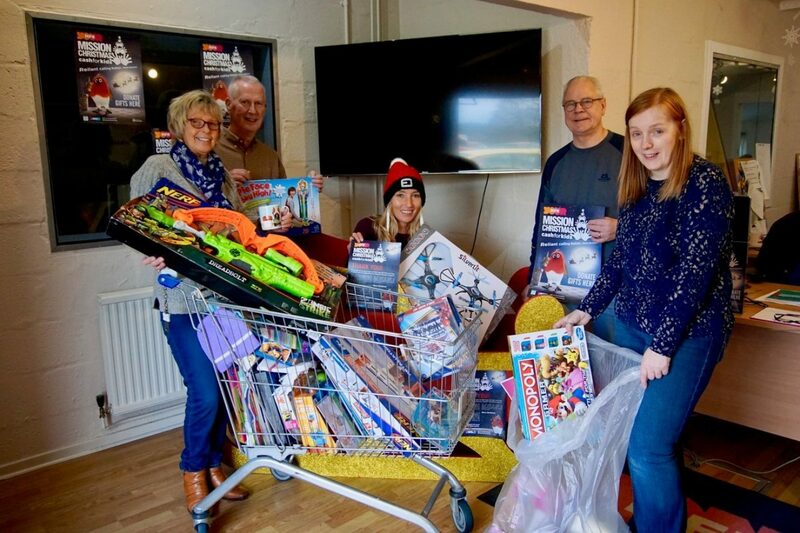 Team John Fraser & Son volunteered their time to help in ‘Mission Christmas HQ’, logging the enquiries that come in from social workers, schools and children’s homes, and sorting donated items to make sure they are appropriate for each child. Two members of our staff were based at MFR for two days every week over the Christmas period, helping to put smiles on young faces on Christmas morning.